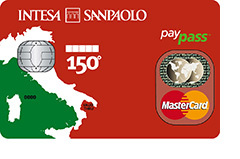 Gemalto has announced that Intesa Sanpaolo is launching a new prepaid contactless card for tourists in celebration of the 150th anniversary of Italy’s unification. Equipped with MasterCard PayPass technology, the EMV-compliant Carta Esperienza Italia 150 will be offered to more than 11 million customers in Turin and other cultural capitals, enabling contactless payments in shops as well as speedy access to museums and cultural events. According to Gemalto, visitors can also get around Turin by loading offers from Gruppo Torinese Trasporti, the city’s transport company, directly onto their card. The cards are available for purchase at Intesa Sanpaolo branches, at Gruppo Torinese Trasporti outlets in Turin, and around tourist attractions, such as la Reggia della Venaria Reale.